An upgrade from the Amada LC 644, the Amada LC 667 has a bigger working range which is important if you handle larger sheet metal parts. Powered at 3500 watts, the CO2-laser has a priciple of CO2 laser with fixed optic. The LASMAC 667 has a large working range at 1830x1525 millimeters. Amada was Japan's first manufacturer that created a sheet metal laser cutting machine. The LC series certainly helped them became a staple in CNC machines for the world. The X/Y Axis positioning speed are each at 24 meters per minute, and can also do simultaneous axis speed as well. 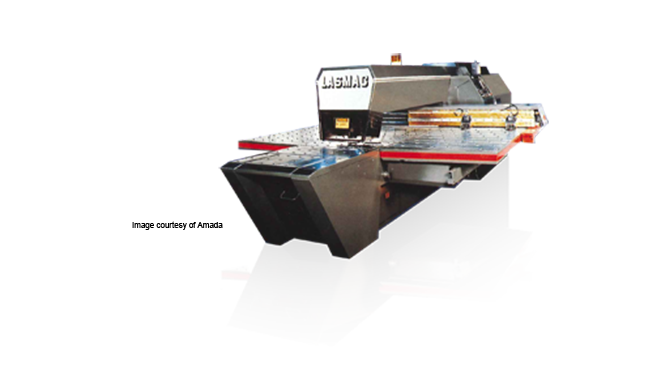 Software for sheet metal developed by Merry Mechanization is very powerful and works very well with the Amada LC667 CNC laser machine.